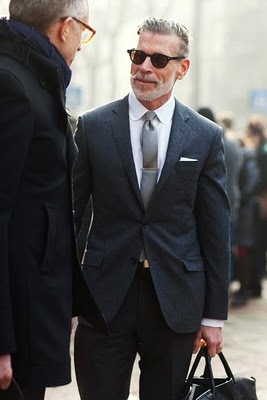 Don’t know who the chap donning the dashing facial hair is, but he certainly cuts a dashing look! 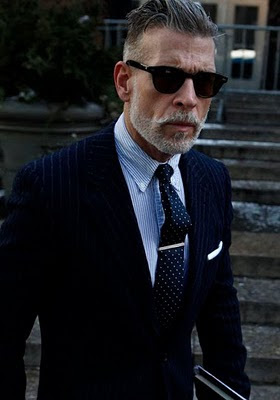 Facial hair has variously been a point of much contention....some for some not for. 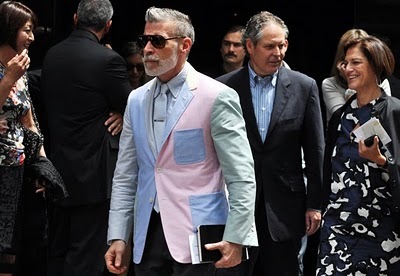 I guess it all comes down to how well a chap carries it like all other things. Actually this chap has got the whole game ‘on’ as they say....tick tack and tock!!! 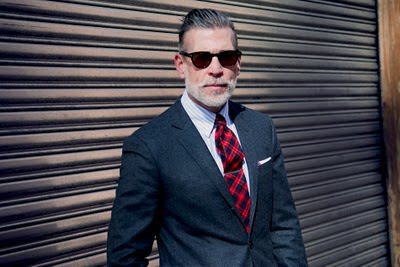 Nick Wooster, Men's Fashion Director, Neiman Marcus Group.